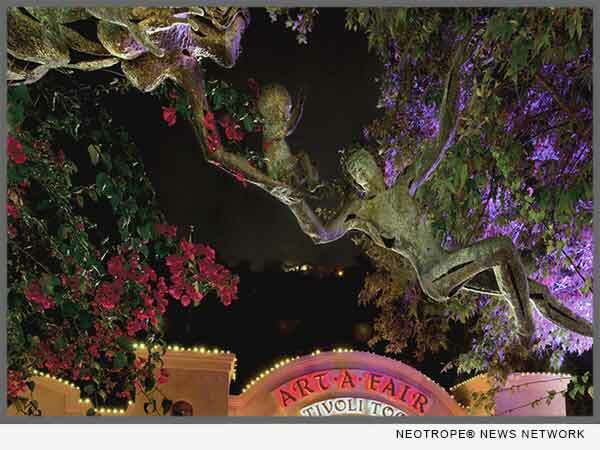 LAGUNA BEACH, Calif. /California Newswire/ — Laguna Art-A-Fair is one of the premier fine arts summer destinations in Southern California and has been for more than 50 years. Our artists invite you to Celebrate Art beginning June 30, 2017 with a full spectrum of unique original creations, affordable reproductions, art demonstrations, workshops, live music and excellent cuisine. The festival features over 120 fine artists and artisans from around the world. Stroll the festival grounds and be entranced by the imagination and originality that surround you. Take advantage of the opportunity to watch artists as they create new masterpieces and share the sources of their inspiration and special techniques that make their art truly unique. Daily art workshops provide a rewarding opportunity for beginning and intermediate artists who are at least 16 years old to learn new techniques and expand their artistic horizons. Taught by award-winning professional artists, class size is limited to six students to maximize personal attention. Weekly classes offer four hour and two hour sessions in Oil, Acrylic, Watercolor, Mixed Media, Jewelry and Leather Work with all supplies included. Thursdays through Sundays, enjoy a wide variety of live music performed by favorite local musicians with dancing in the entertainment courtyard. Savor award-winning margaritas and south-of-the-border snacks and entrees at Tivoli Too!, the full-service restaurant retreat located on the festival grounds. A giant art palette landmark has been added at the festival front entrance and the entryway features a fresh new look. The art booth layout has been redesigned for easier airflow and navigation and the entertainment courtyard upgraded with a dance floor and comfortable seating. Celebrate Art this summer with Laguna Art-A-Fair! Open daily from June 30 through September 3, 2017. Further information is available at http://art-a-fair.com or 949-494-4514. Event Date: June 30, 2017 – September 3, 2017. Event Location: 777 Laguna Canyon Rd, Laguna Beach, CA 92651. Admission: Season Pass – Adults $8; Seniors (65+), Military, Students $6; Children 12 & under FREE with Adult; ‘Pageant of the Masters’ ticket holders admitted free on the day of ticketed performance. Description: Your summer destination for original fine arts, crafts, and affordable reproductions along with art workshops and demonstrations, live entertainment and great cuisine at Tivoli Too!